Bridport Arts Centre presents photographs by Tish Murtha from 9th September. This series of photographs shot by Tish Murtha over a few years starting in 1979, were first exhibited in 1981. They capture the hardship that both she and the North East of England suffered during the Thatcher era and the people in the images were her family, friends and local community. In the West End of Newcastle Tish saw the dereliction of young lives amid the dereliction of an area with more than double the unemployment rate of the city as a whole. She had first hand experience of what it was like to be young and on the dole, and so she wanted to try to help others who saw no real future for themselves by highlighting the issue. A newspaper review of Youth Unemployment including an interview with Tish regarding her subject matter was read aloud for debate in the House of Commons in 1981. In todays society of education cuts, zero hours contracts, public service cuts and the gaping gap between billionaire presidents and the homeless these photos are a reminder of the cruelty and legacy of Tory neo-liberal capitalism. 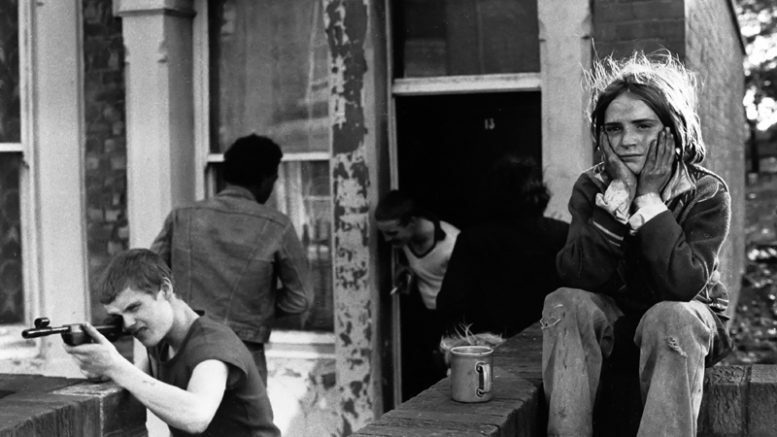 Be the first to comment on "TISH MURTHA: YOUTH UNEMPLOYMENT"